"Thanks for stopping by! If you have missed the TikTok+LunaTik project, please come and visit us at LunaTik.com, the new home of TikTok + LunaTik-- where you check out the latest news, updates and purchase product. We hope you will follow our progress! Or you can check out our new Kickstarter project, the TAKTIK Precision Protection for the iPhone 4 and iPhone 5 —Scott Wilson and the MINIMAL team—Scott Wilson and the MINIMAL team"
Hi! Thanks for checking out our project. With your help we would love to make our idea a reality and get them on as many wrists as possible. 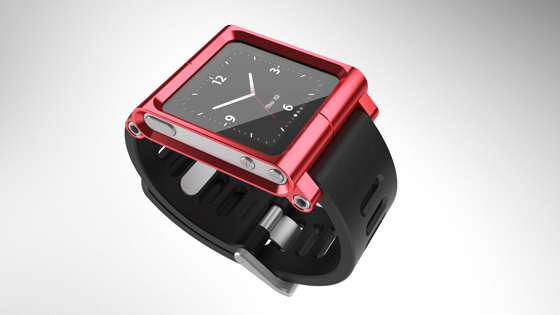 TikTok and LunaTik simply transform the iPod Nano into the world's coolest multi-touch watches. 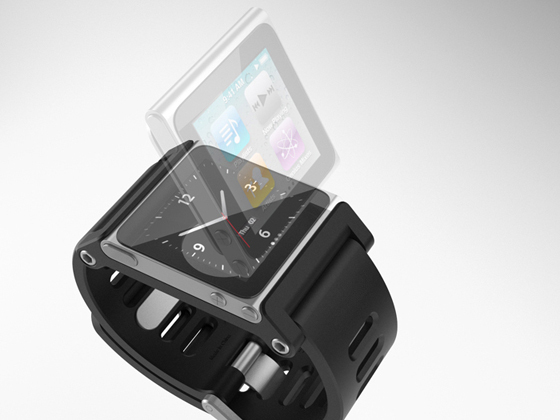 The idea to use the Nano as a watch was an obvious one ever since the product was announced. But we wanted to create a collection that was well designed, engineered and manufactured from premium materials and that complemented the impeccable quality of Apple products. Not just clipped on a cheap strap as an afterthought. We wanted to create a product that your friends and strangers would stop you and ask "WTF is that??? And where can I get one?!" So many watch companies have struggled to make a multi-touch color display watch to date. It is no small task. The Nano itself is an engineering wonder. 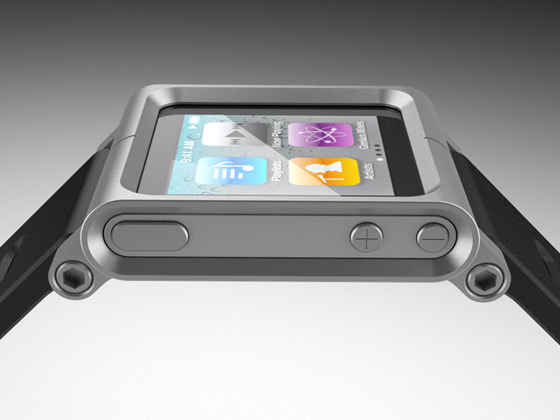 Multi-Touch, color display, long battery life, MP3, radio, photos, pedometer, Nike+ and clock all in an impossibly small package. Just like reinventing the phone it took Apple to make it possible. And in clock mode the Nano battery lasts at least a week before recharging. 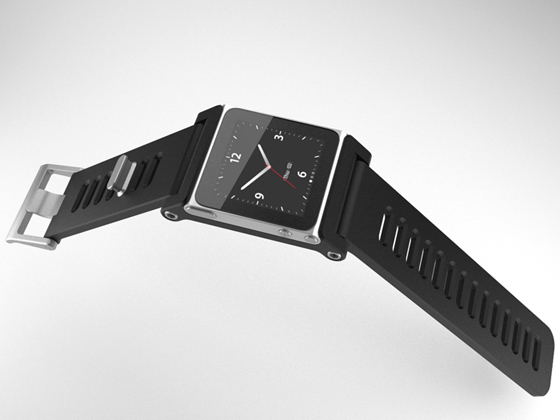 We are excited to help complete the effort in converting it to a watch that everyone can enjoy. So here is where you come in. Designing products is what we, MINIMAL, do day-in and day-out for big brands. But like most designers our dream is to eventually make our own products. But funding, manufacturing and distributing a new product is a whole other story. Kickstarter is a great way for us to realize many of the ideas that we have in our small studio that we know people will love but big companies are scared to do. We love creating cool stuff without the big company politics and indecision. We believe in the emerging power of community and the individual to bring ideas to life and we hope that this is just the beginning. By pledging at least $25 you are pre-ordering TikTok or by pledging $50 you are pre-ordering the LunaTik and helping make what we believe is a very cool iPod accessory a reality. And if you pledge at the Limited Edition levels you will get one of the red anodized Backer versions. Note: TikTok will retail for $34.95 and LunaTik will retail for $69.95. iPod Nano not included. 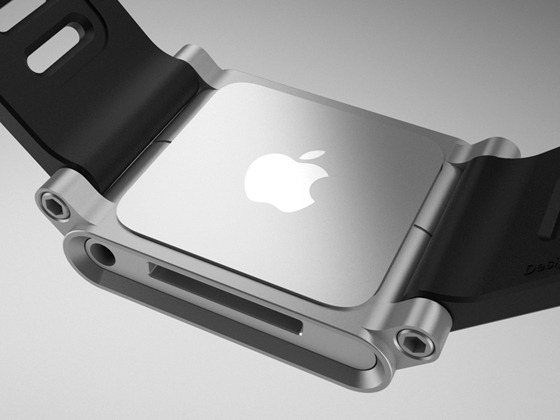 iPod Nano, Apple logo and Apple are registered trademarks of Apple Inc.
Every dollar counts. 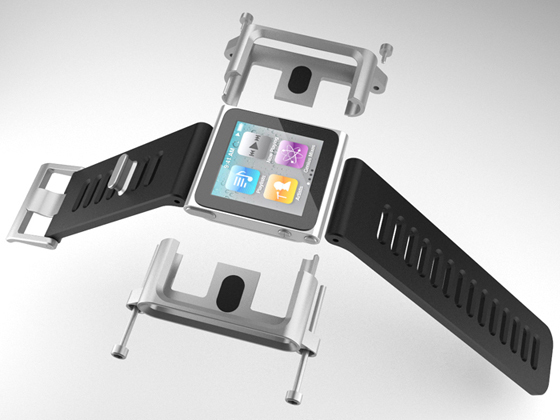 If your dollar helps make this a reality you will be able to buy the TikTok or LunaTik online or hopefully someday, if successful, at an Apple Store near you. Be a part of making a cool product that no one else would take the risk on and enabling a design firm to produce its own undiluted product.